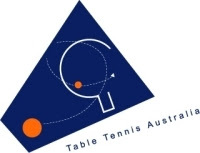 M Y Choi and A Du won the Boys and Girls U 18 titles at the Australian Junior Table Tennis Championships. Both the top seeds in the respective sections could not stop Choi and Du from winning the prestigious titles. Incidentally, Boy's top seed, Heming Hu just recently won the Michael Szabados Award for being the Junior Player of the year.